For years now, the 'Netflix/Spotify for games' buzz term has been thrown around a whole load without much in the way of meaningful impact. Services such as OnLive have come and gone, and for a time it looked like the industry had considered the business model to be something that just wasn't feasible in the video games space. But there has been movement in this sector from some pretty big players. For a while now, EA has offered an all-you-can-eat service in Origin Access, where for a monthly fee, consumers can play a wealth of games on the platform. Microsoft, too, has tried this model with Xbox Game Pass. But there has been a shift in how these services operate. Where before they were merely there to host back catalogue games, giving users the chance to play older titles with publishers profiting from this. Now, these services are hosting games on the day of launch. 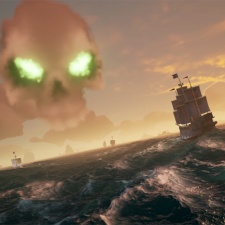 Rare's Sea of Thieves rolled straight into Game Pass when it was released back in March 2018, with other first-party titles from Microsoft set to do the same. Then at E3, Electronic Arts revealed Origin Access Premier which had a similar mentality - users could play all of EA's titles when they launched if you were a subscriber including big ticket titles like Anthem and even FIFA. These are bold moves that show the shift in the industry. Where in the olden times of purely physical retail Day One sales were the be-all and end-all of a title's success, now that's a metric that doesn't really matter so much to publishers and developers. Player counts have been usurped by engagement data - how many are playing on a daily or monthly basis - if you are running a service-based game. So, when a publisher releases sales figures for a game using one of these services, it doesn't mean a whole lot. To pick an example - Sea of Thieves was a launch title for this Day One Xbox Game Pass strategy. Microsoft breathlessly boasted about how well the game had done, announcing that two million people had played the game in its first week. That's a big figure that indicates that Sea of Thieves had enjoyed a pretty impressive start to life. Rare has even said in interviews since that this early reception far exceeded its expectations. The title has even hit five million players by the time of writing. But honestly, that two million figure doesn't really mean anything. Since, Rare has said in an interview with GI.biz that the average play time for the game is 22 hours 43 minutes - but there's no indication of how many people are playing the game daily or even monthly which are arguably the most important figures for a service-based game like this. I'm not purposefully singling Rare and Sea of Thieves out here - but that title is the highest-profile example of a game launching this year. No doubt we'll see similar stories happening when Anthem rolls out into Origin Access Premier next March. This isn't to say that the old way of covering these figures was perfect. A game available purely at physical retail selling five million copies didn't tell us the whole story, either. A percentage of users will have loaded the game up once and never gone back; some might never even have loaded it up at all. But it told us something - we knew how roughly how much money the developer and publisher responsible was bringing in and thus whether the game had been a viable effort. Now, we honestly have no clue about any of this and that makes covering these figures a more complicated affair. This is just a reminder to the media and analysts covering these player figures that they do not mean what they used to - and we should be careful before declaring a game a success without knowing the full story.